1. 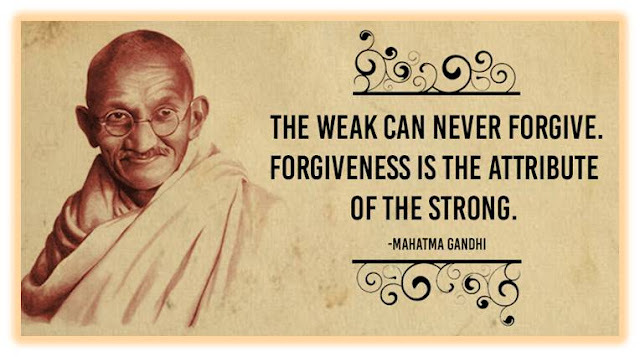 A life of lessons : Mahatma Gandhi (born 02 October, 1869) gave India a vision of non-violent resistance to injustice, and a constant striving for truth and justice. 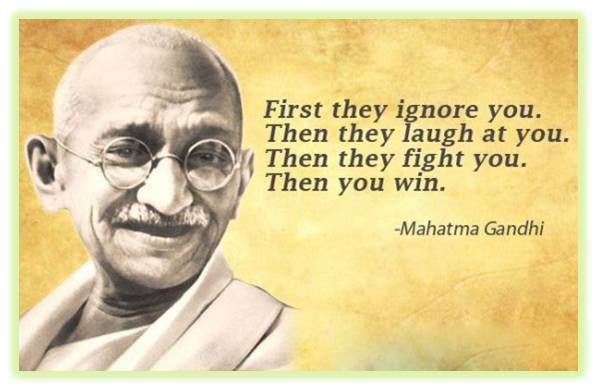 His life and times motivated many. 2. 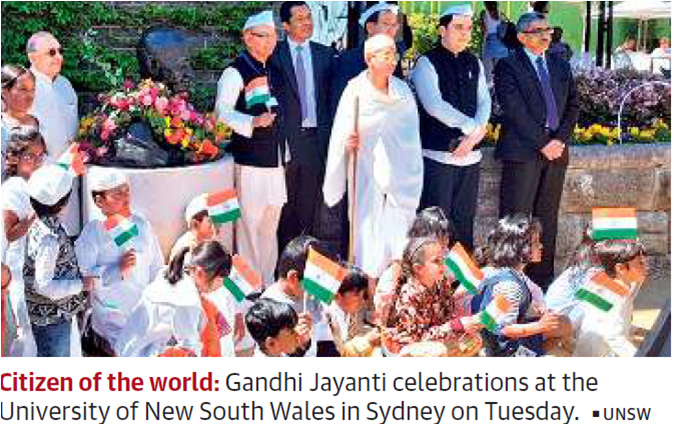 New South Wales University : It includes the Gandhi Jayanti celebrations as an essential part of its annual calendar. 3. First statue : The Gandhi bust was given to the university in 2010 and was the first statue to be installed in the University. 4. Concerns in 2010 : In 2010 attacks on Indian students had increased and concerns exist even now whether Australia was a truly multicultural country and safe for international students. 5. 124 nations, 1 song : On the 149th birth anniversary of Mahatma Gandhi, PM Modi launched a version of the song “Vaishnava Jan To” in which artists from over 124 countries having contributed musically. 1. The demands : On 2nd Oct. , when both Gandhi and Shastri were in focus, farmers in large numbers marched to Delhi protesting Government’s policies. Their demands were (a) exempting farm equipment from GST and (b) acceptance of M.S. Swaminathan Commission’s recommendations. 2. Who were they, what was done : The farmers were affiliated to the Bhartiya Kisan Union (Tikait group). The police blockade of roads led to violent skirmishes. To resolve the standoff, first the govt. announced formation of a committee of CMs to look into their demands. Later in the night, they were allowed to enter Delhi. 3. No hike in MSP : The Centre ruled out any hike in MSP and wanted discussion on the issue of loan waivers. Agreement was reached on 7 demands of the farmers. However, BKU chief Narendra Tikait said that the assurances were not enough. 4. Legal review petition : The Centre agreed to file a legal review petition against the NGT’s ban on diesel vehicles more than ten years old in NCR. 5. Implementation problems : A committee would be formed to resolve implementation problems on crop insurance and farmer credit schemes, and review the possibility of including crop damage by wild animals for insurance. 6. NITI Aayog : Farmer representatives would be included in a NITI Aayog special committee focussing on linking agriculture with MGNREGA. 1. 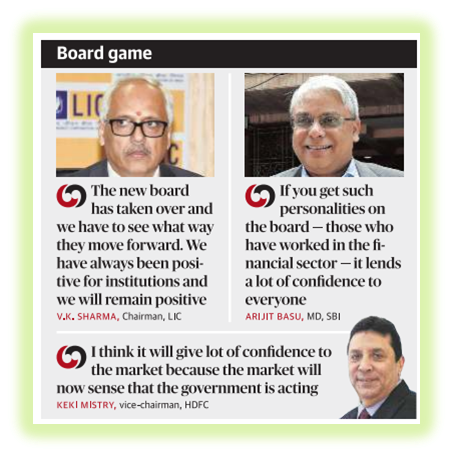 Government intervenes : On 1st Oct., in a decisive move, the Govt inducted six directors in IL&FS and appointed Uday Kotak as Chairman. The National Company Law Tribunal (NCLT) has approved this action. 2. MCA’s report : A report by Ministry of Corporate Affairs (MCA) concluded that the affairs of the IL&FS holding company and its group companies were prejudicial to public interest. 3. Probe : Following complaints, a probe by the Serious Fraud Investigation Office (SFIO) was ordered into IL&FS and its subsidiaries. 4. Management not credible : Govt. noted that dividends and huge managerial payouts were continued disregarding the liquidity crisis in the company. 5. The liquidity crisis : In August and Sept. 2018, the IL&FS committed loan defaults as the company and its subsidiaries faced a liquidity crunch. 6. 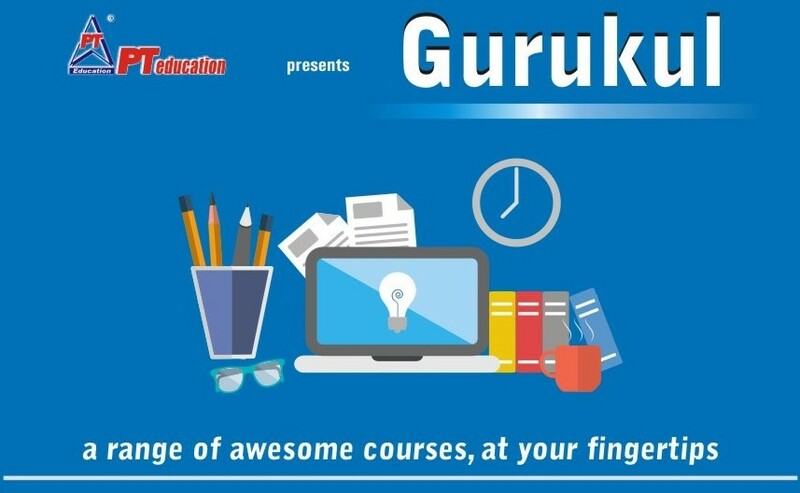 Statistics : The group has infrastructure and financial assets of over Rs.1,15,000 crore. But due to mismanaged borrowings it is facing tremendous debt pressure and struggling to service around Rs.91,000 crore. 1. 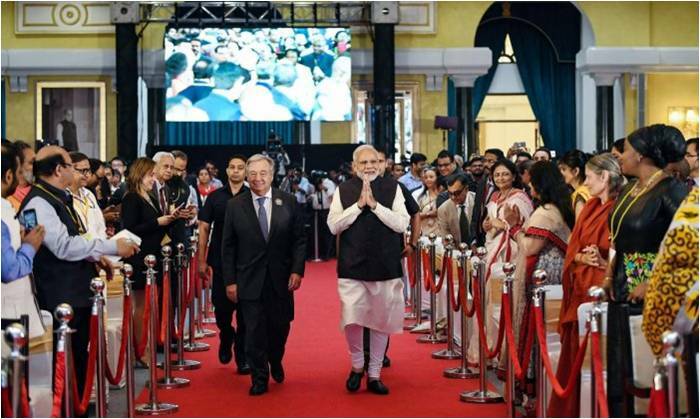 Key drivers : PM Modi said that people’s participation, combined with public funding and partnerships, were key drivers in the Swachh Bharat Abhiyan’s success against open defecation. 2. 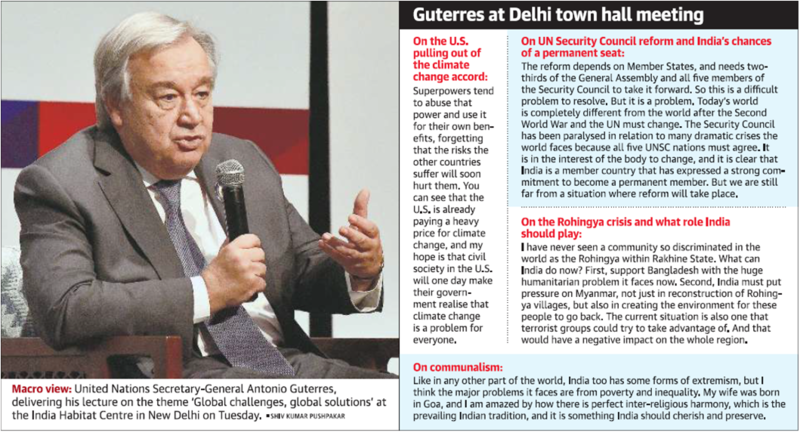 Praise from UN : UN Secretary-General Antonio Guterres said that India has shown with political will and commitment, it’s possible to achieve ambitious targets quickly. 3. 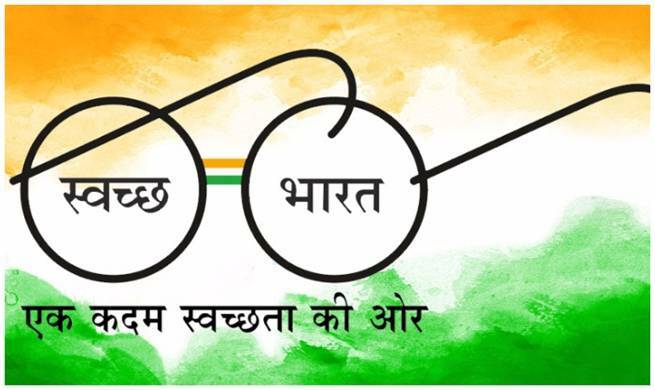 Reduction in open defecation : More than 94% of rural households across India have now been declared open defecation free (ODF) in comparison to just 39% four yrs ago. 4. Cleanest state of 2018 : Haryana was declared the cleanest State in a 2018 survey of rural India, while Satara district in Maharashtra was declared the cleanest district. 5. 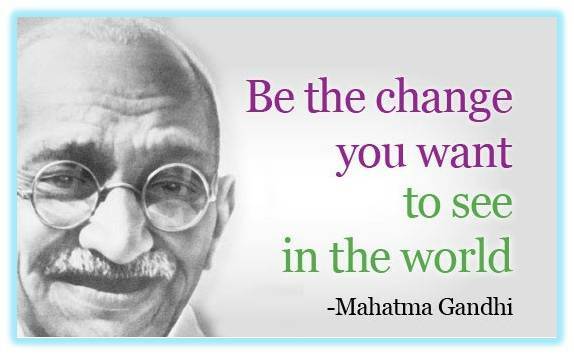 Mindset change : PM Modi said that mindset change among the people was the first step. Once a jan andolan had been started, it would have a domino effect. 1. 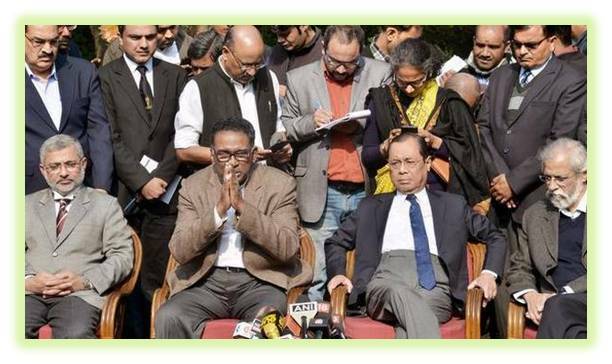 Cut and divide : Speaking at the farewell function of the outgoing CJI, Justice Gogoi said that “What we wear, eat, say, read and think have become issues that cut and divide us”! 2. 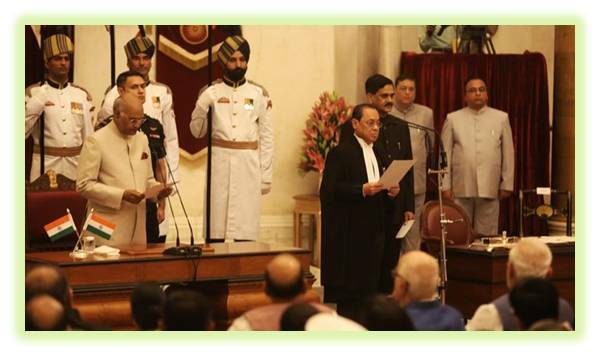 The new CJI : On 3rd Oct. Justice Gogoi took over as the 46th Chief Justice of India. He said that we should always evaluate our beliefs keeping in mind our constitutional morality. 3. 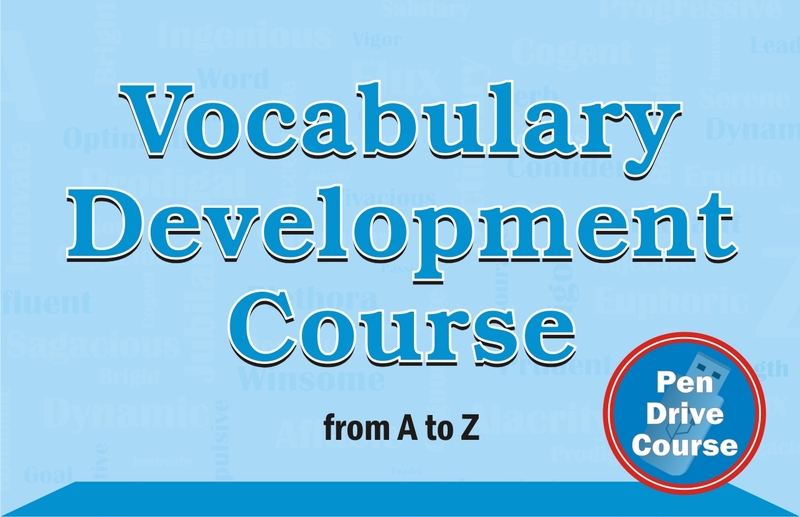 Deep divide : “We are more divided than we were before on the issues of class, caste, religion, gender and ideology. If we do not allow the vision of the constitution to prevail we will continue to hate, despise and kill each other”. 5. No ready-made answers : Constitutional questions cannot be separated from important political issues of the times. 1 .23 lions dead : Since 12th Sept. 21 lions have died in Gujarat’s Gir forest. Govt has attributed the deaths to infighting and viral infection. 2. Experts brought in : State Govt. brought in experts from Indian Veterinary Research Institute, Bareilly, and Delhi zoo. 3. Forest department’s statement : The post-mortem report of 11 lions that died between September 12 and 19 indicated territorial fighting, injuries due to infighting, respiratory and hepatic failure as major causes for deaths. 4. Remaining lions shifted : All lions in the affected range were shifted to Jasadhar rescue centre and were thoroughly checked. The reports from NIV, Pune admitted that the deaths were caused due to viral infection. 5. Action being taken : At the Jamwala rescue centre action is being taken to insulate the remaining lions from the disease. 1. Marches and dharnas : Hindu organisations held marches and dharnas in different parts of Kerala against the SC’s verdict allowing women of all ages to offer worship at the Sabarimala Ayyappa temple. 2. 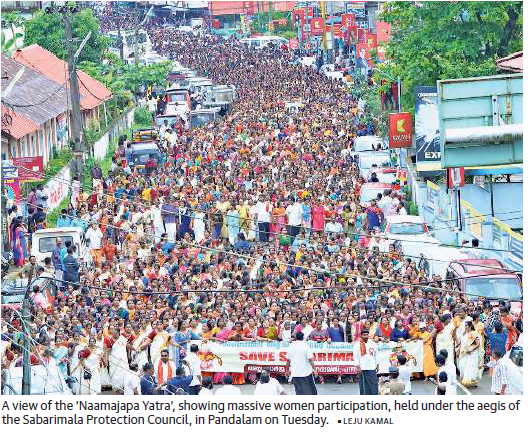 Big turnout : Hundreds of Ayyapa devotees including a large number of women gathered at Pandalam and held the ‘Nammajapa Yatra’. The banner being created is “Sabarimala Protection Council”. 3. Ritualistic tradition : Pandalam Palace managing committee president said the ongoing protest was to protect the ‘Ayyappa Dharma’ and the ritualistic tradition at Sabarimala. 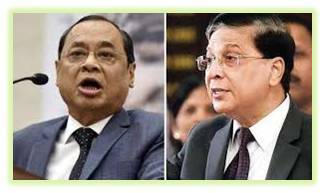 The Supreme Court had delivered the verdict that women of age group 10-50 years cannot be banned from entering the Sabarimala temple of Lord Ayyappa, as that is a violation of their right to religious freedom, as well as their fundamental rights in terms of gender justice. The Sept.2018 verdict was disliked by right-wing groups. 1. UN Sec-Gen’s statement : On his first official visit to India, UN Secretary General Antonio Guterres said that India must support Bangladesh in dealing with the Rohingya crisis and put pressure on Myanmar for their return. 2. A bigger role : India should play a bigger role in resolving the crisis. It must support Bangladesh with the huge humanitarian problem it faces now. 3. 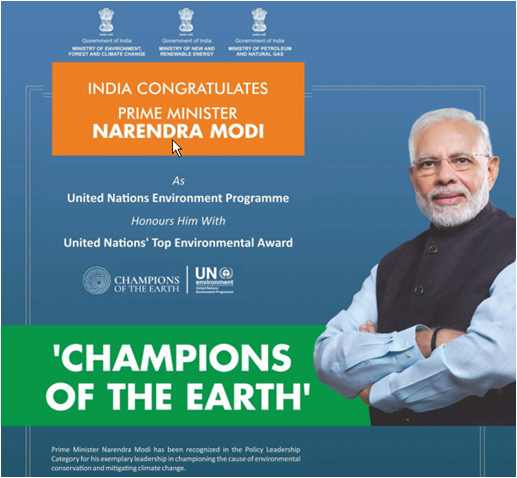 Pillar of multilateralism : He described India as a pillar of multilateralism and praised India’s efforts in the battle against climate change. 4. Bangladesh delays : Meanwhile Bangladesh has delayed the planned relocation of a part of the Rohingya refugees from Myanmar to an islet in the Bay of Bengal. The islet is of recent origin and falls in the way of powerful storms that visit Bangladesh during the pre-monsoon season. 5. Rohingyas not convinced : Rohingya community leaders are not convinced about the relocation plan of the government. 1. Wahaabism Vs. Deobandi : Pakistan has adopted a form of Wahaabism which is contradictory to Deobandi. Wahhabism represents a rigid, exclusivist, virulently anti-Sufi form of Islam that allows its adherents to proclaim other Muslims as ‘unbelievers’. This is in stark contrast to the original Deobandi perspective. 2. Deoband beliefs : There is no contradiction between sharia (Islamic jurisprudence) and tariqa (the mystical path to God) and that the two need to be combined to reach haqiqa (ultimate truth). 3. Afghan Jihad : The neo-Deobandis of Pakistan are a result of the Afghan Jihad fuelled by Saudi money and American arms. 4. Bastion of anti-colonialism : The Deoband movement had advocated complete Independence from the British much before the Congress. Deoband is a proponent of composite nationalism (Muttahida qawmiat). 5. Opposed to the idea of Pakistan : Given Deoband’s uncompromising opposition to the idea of Pakistan, the very term ‘Pakistani Deobandi’ is a contradiction in terms. 1. Policy shifts and more funds : Unless countries make comprehensive policy shifts and invest more funds the world will not reach the goal of universal sanitation coverage by 2030, WHO said. 2. 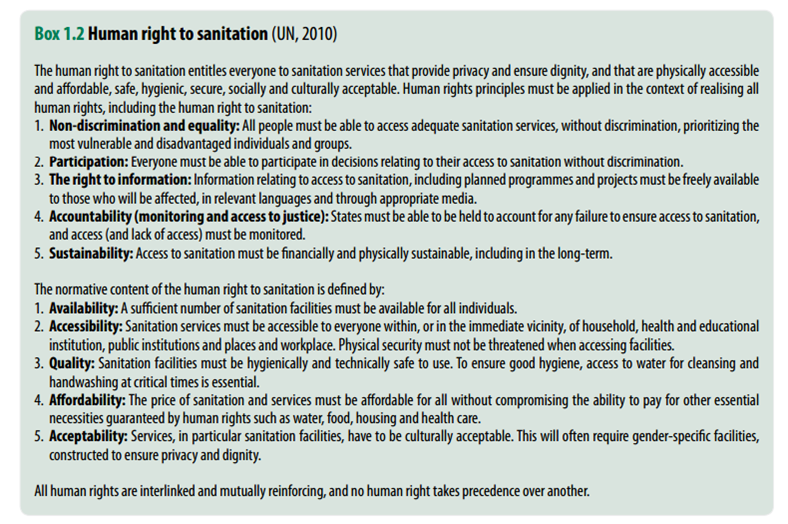 New guidelines : On 2nd Oct. the World Health Organization (WHO) launched the first global guidelines on sanitation and health. 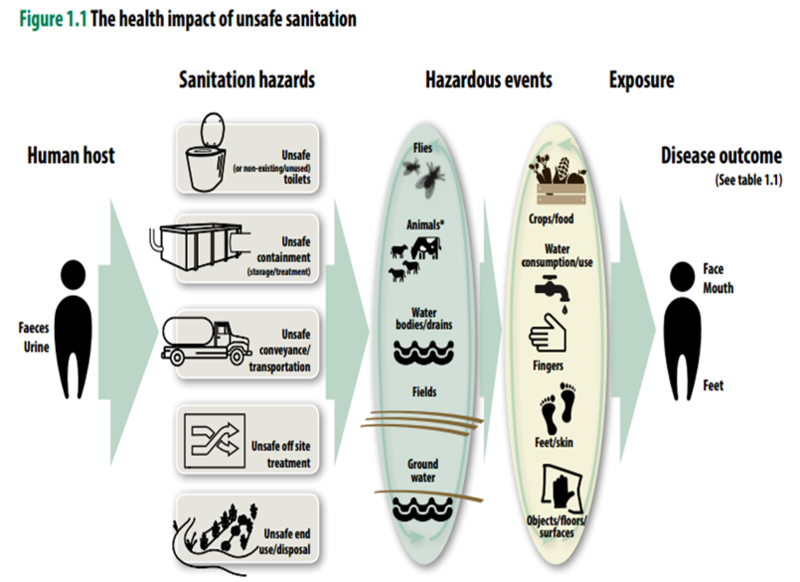 By adopting these, countries can reduce diarrhoeal deaths due to unsafe water and poor sanitation and hygiene. 3. The returns : The WHO estimated that for every dollar invested in sanitation the return would be six dollars in the form of lower health costs, increased productivity and fewer premature deaths. 4. Worldwide problem : Worldwide, 2.3 billion people lack basic sanitation (with half of them forced to defecate in the open). They are a part of the 4.5 billion people who don’t have access to safely managed sanitation services. 5. 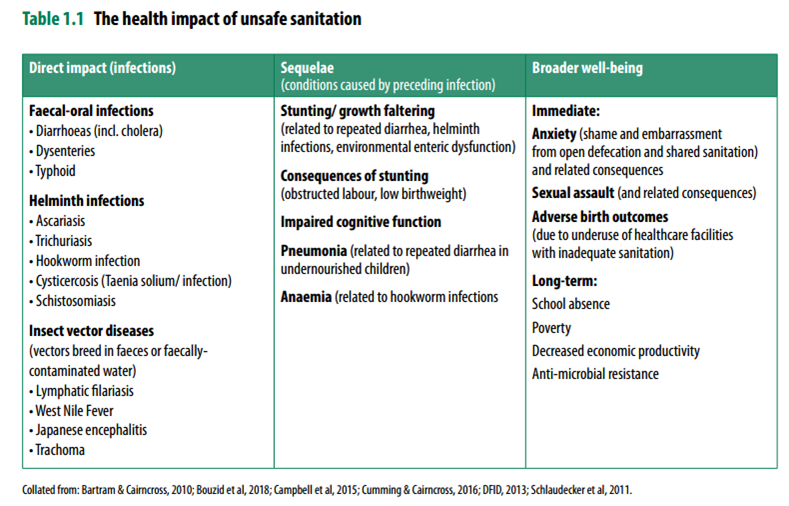 Need for the guidelines : The new guidelines were developed because current sanitation programmes are not achieving anticipated health gains and there is a lack of authoritative health-based guidance on sanitation. 1. Biggest shake-up : In the biggest shake-up of UK immigration laws further restrictions will be imposed on the ability of Indian workers and their families to come to the U.K. Any family member must be sponsored by the employer. 2. End of freedom of movement : British PM Theresa May said Britain will end “freedom of movement once and for all” which is a fundamental principle of the EU. 3. Rules of the EU : The EU rules allow its citizens to (a) look for a job in other member countries, (b) work there without a permit, (c) reside there & stay on even after employment has ended. 4. Most important issue? Immigration is now the most important issue; not trade or investments. 5. Statements during Brexit polls : During Brexit polls 2016, politicians promised that if Brexit happens, immigration laws for Non-EU nations would be eased. The opposite is happening. 6. No such intention : The new changes prove that the government has no intention of making life easier for Indians. 1. The winners : Arthur Ashkin of the U.S, Gerard Mourou of France and Donna Strickland of Canada have won the Nobel Prize for Physics for 2018. 2. 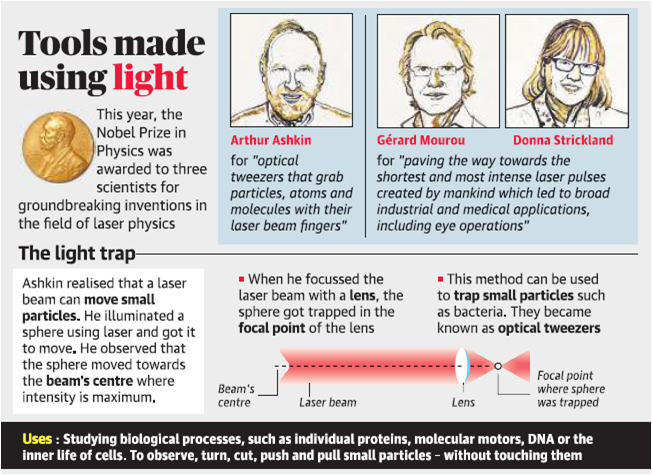 Optical tweezers : Ashkin was awarded for his invention of “optical tweezers” that grab particles, atoms, viruses and other living cells with their laser beam fingers. At 96 years, he is the oldest recipient of the award. 3. Ultra short optical pulses : Mourou (74) and Strickland (59) won for helping develop a method to generate ultra-short optical pulses. 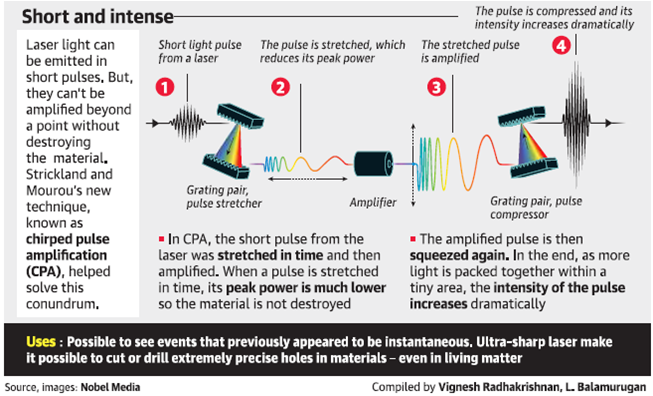 This is the shortest and most intense laser pulses ever created by mankind. It is now used in corrective eye surgery. 4. 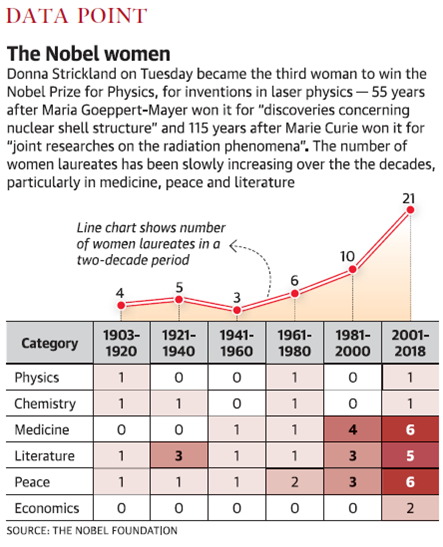 Third woman : Ms Strickland is only the third woman to receive the Nobel Prize for Physics. 5. The Prize money : Arthur Ashkin half of the nine million Swedish kronor (about $1.01 million) prize, while Gerard Mourou of France and Donna Strickland of Canada shared the other half. 1. 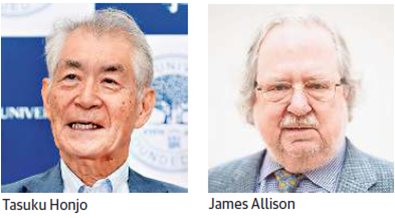 2018 Nobel Prize for medicine: James Allison of the U.S. and Tasuku Honjo of Japan, won the 2018 Nobel Medicine Prize for research into how the body’s natural defences can fight cancer. 2. Not traditional: Dr. Allison and Dr. Honjo figured out how to help the patient’s own immune system tackle the cancer more quickly. The traditional forms of treatment targeted cancer cells directly. 3. Revolutionary : The new therapy had revolutionised cancer treatment and has made a fundamental change to how cancer can be managed. 4. Simultaneuous discoveries : In 1995, Dr. Allison was one of two scientists to identify the CTLA-4 molecule as an inhibitory receptor on T-cells. Around the same time, Dr. Honjo discovered a protein on immune cells, the ligand PD-1, and eventually realised that it also worked as a brake, but acted in a different way. 1. 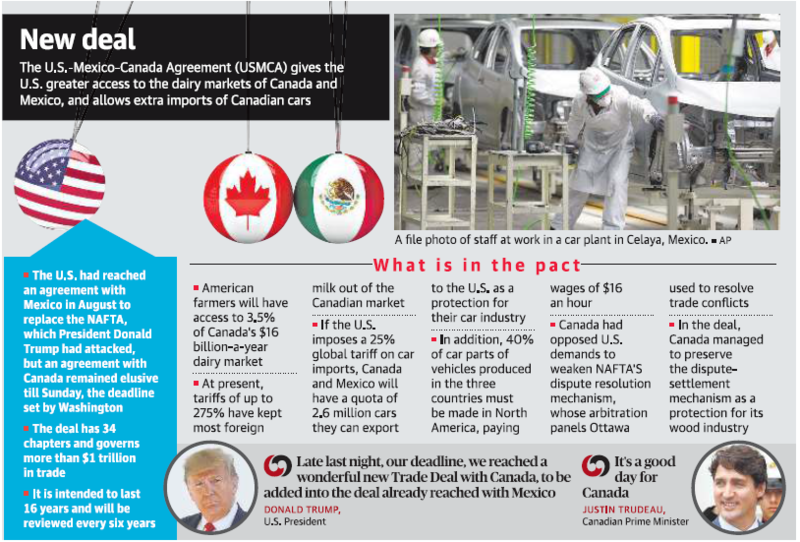 The USMCA : USA, Canada and Mexico have reached an agreement on a new trade deal. This agreement updates and replaces the nearly 25-year-old North American Free Trade Agreement (NAFTA). 2. Intense talks : The agreement was concluded after six weeks of intense talks. The agreement covers a region of 500 million residents and conducts about $1 trillion in trade a year. 3. The impact : Canada will open its dairy market further to the US producers. The deal also has stronger protections for workers, tough new environmental rules, and updates the trade relationship to cover the digital economy. 4. Freer markets : The new agreement will result in freer markets, fairer trade and robust economic growth.